Landing in Bangkok is the first experience most people have of Thailand. Travelers will generally spend a couple of days savoring Bangkok before they move on to other more relaxed and less crowded areas. While Bangkok is a major city that can be noisy, crowded and just plain difficult, nevertheless it offers to visitors a lifetime of things to do and places to visit, so here is how to get the best out of your couple of days in Bangkok. The options for getting around Bangkok are almost endless. Almost every form of mass transit in a capital city are available, plus some that are unique to Bangkok. From motorcycle taxis and tuk tuk jostling their way in traffic tuk tuks are definitely something you should experience – to regular taxis and buses, Bangkok has it all. One of the best ways to get around especially in Bangkok’s oppressive heat is to use the air conditioned underground and sky trains, these are a relative luxury in comparison to other forms of transport around Bangkok. The long tails and river boats offer a great transport option, while letting you take in the Bangkok sights from a unique perspective. To really savor the heart and soul of the Thai capital, then walking is the way forward. Strolling around especially in places like the Khao San road will leave a lasting impression and some amazing memories. A visit to Bangkok would not be complete without at least one or two visits to Buddhist temples. With Buddhism being the dominant faith in Thailand and the Thai people being quite pious, there are many absolutely gorgeous temples to visit. In fact, Thai Buddhist temples are some of the most spectacular in the world, they are well worth a visit. The Golden Buddha temple for example is well worth a visit among others, since it houses the huge golden Buddha. This statue, which is 3 meters high and weighs in at 5.5 tons, is made of gold. The value of the gold in the statue is estimated to be at least 250 million dollars. 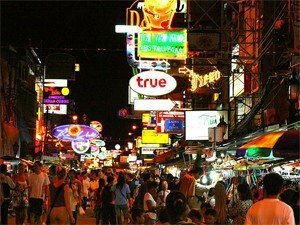 No trip to Bangkok would be complete without a visit to Khao San road, the spiritual heart of backpacker tourism in Thailand. This short road offers everything from cheap accommodation, to buses departing daily to every touristic destination in Thailand. The many shops sell everything from music CD’s and clothes, to fake ID’s and other backpacking items. In the evening there are many bars where you can catch up with other travelers. Street vendors congregate selling a wide variety of Thai street foods, exotic snacks and even the odd barbecued insect. As a modern city there are many other attractions in Bangkok; for those who prefer and appreciate the Arts, then the museum of contemporary art and the Bangkok arts and cultural center are great places to visit. The contemporary art museum has a collection of paintings and sculptures that is the most comprehensive in Thailand. The Bangkok arts and cultural center is a great cultural meeting point with many exhibitions about art, music, film, and sculpture occurring during the year. There are also book shops, cafes and other attraction for you to visit. Another attraction well worth the visit is the Queen Saovabha Memorial Institute, or as it is best known, the Snake farm. This research institute houses an enormous collection of venomous snakes where research and anti-venom development are conducted. Dating back to 1912 the institute offers education tours which, aside from being informative are quite the spectacle – with handlers dealing with some of the most venomous snakes in the world. For the last 150 years the grand palace has been the center of the Thai royal family, and seat of government. Thanks to its amazing architecture and stunning gardens, this spectacular palace is well worth a visit on its own. 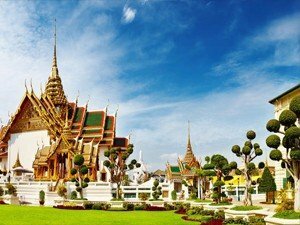 However, visiting the grand palace is also an opportunity to visit the emerald Buddha temple, which is the holiest of Buddhist places in Thailand. Overall this list is by no means exhaustive – Bangkok has something for everyone. What is the easiest way to get around Bangkok? Choosing the best way to get around Bangkok can be difficult and will depend on where you are going. Generally, the sky train and the underground are your best options for moving around. If you want a more authentic Bangkok experience, then you can use the now world famous Bangkok tuk tuk, or motorbike taxis, although the later are definitely not the safest of options. As a rule of thumb use a mix of taxis, tuk tuk and trains to get around Bangkok. What about taxis in Bangkok? Taxis can be a great way to move around Bangkok in certain circumstances. Bear in mind that during the day Bangkok traffic will put the worst traffic in any European capital to shame, it’s generally not a good idea to use taxis during the day – there are plenty of better options. During the evening when the traffic is less congested then taxis can be a great option to whip you back to your hotel in a flash, especially after a night out in Bangkok. One thing to keep an eye on is the many scams taxi drivers may try. Insist on using the meter and not just agreeing a set fare, agree that you pay the tolls then and there, and not that they are bundled onto the fare later. Once you are in the car refuse to let the driver stop to use the bathroom or anything else, unless the driver agrees to stop the meter for the duration. The last tip you can do is if you have a roaming data connection, use google maps to track you progress on route, and to ensure the driver is not indulging in some old fashioned fare building by taking you the really long way. What are the best temples to visit? While every temple has its own unique splendor, the most impressive are probably the Reclining Buddha temple, the Emerald Buddha temple, and the Golden Buddha temple. The Reclining Buddha temple is the most spectacular in Thailand. Covering an area of 80000 square meters, with over 1000 images of the Buddha it is truly impressive. The temple also houses one of the largest Buddha images in the world, which stands a whopping 46 meters high. The Emerald Buddha temple, although no as large as the Reclining Buddha, is no less impressive. The beautifully ornate building houses the stunning emerald Buddha image. This small exquisite figurine of the Buddha in a Yogic pose is nearly 70 cm tall and made of jade, it is clothed in pure gold robes that are changed every season. How many days should I plan to stay in Bangkok? The simple answer is as many as you like. 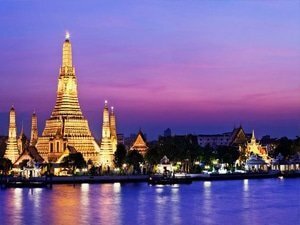 Bangkok is a huge city with a lifetime’s worth of attractions, you can easily spend weeks and weeks discovering Bangkok. A good option that a lot of travelers opt for is to spend a day or two in Bangkok upon arrival, then leave 2 or three days for visiting Bangkok properly at the end of their trip. This gives you the option of being able to talk to fellow travelers during your time in Thailand, and get some advice and tips about the best places that might suit you in Bangkok.